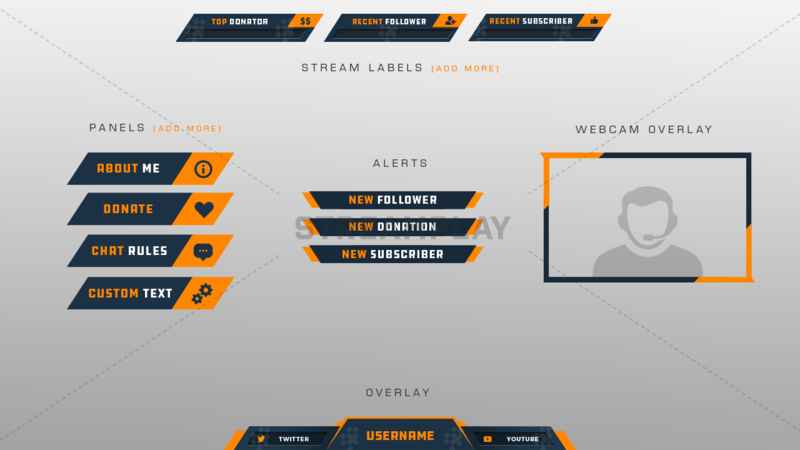 No channel is complete without the perfect set of Twitch panels for your stream. 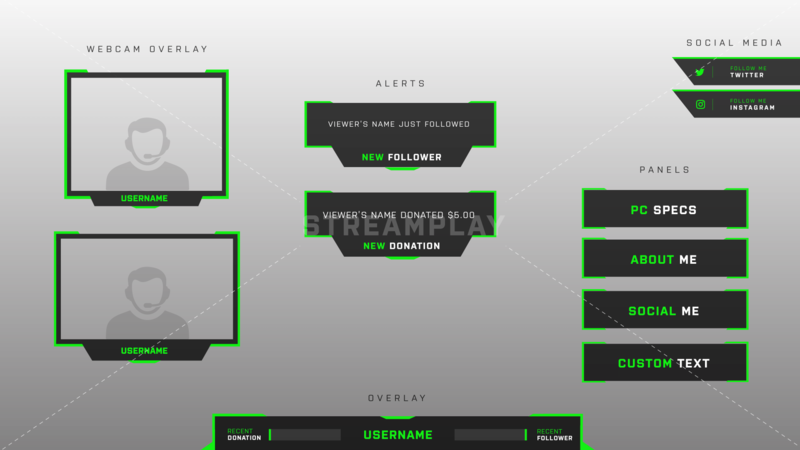 Keep your channel clean, organized, and professional looking with one of our Twitch panel images. 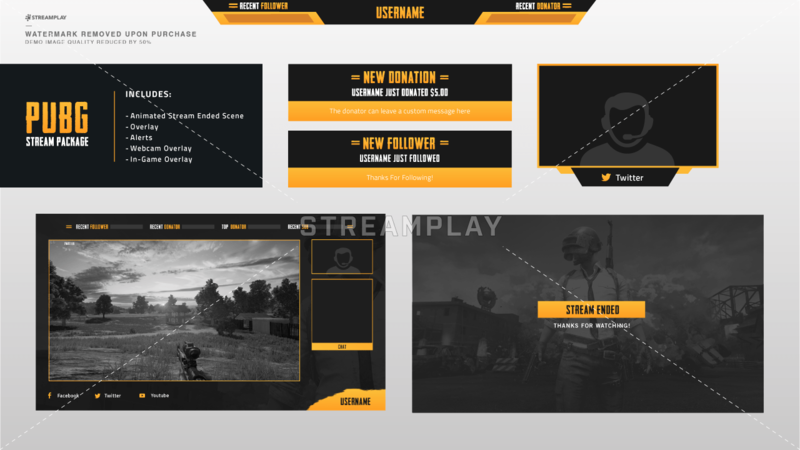 All designed to give your stream a unique look and feel when listing out all your channels info. 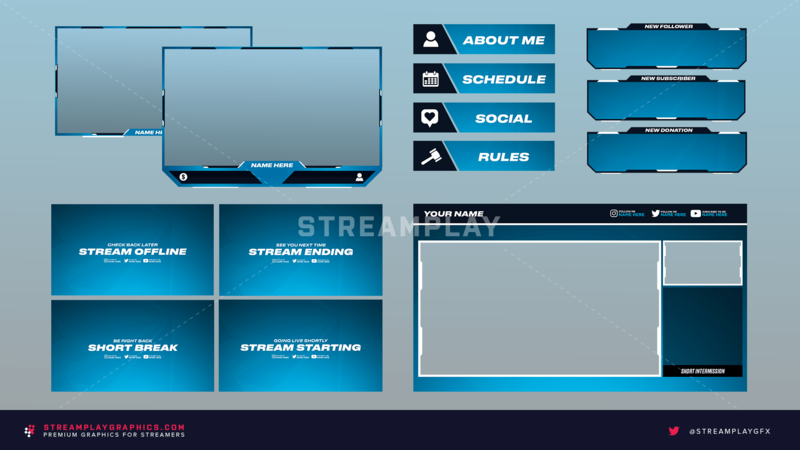 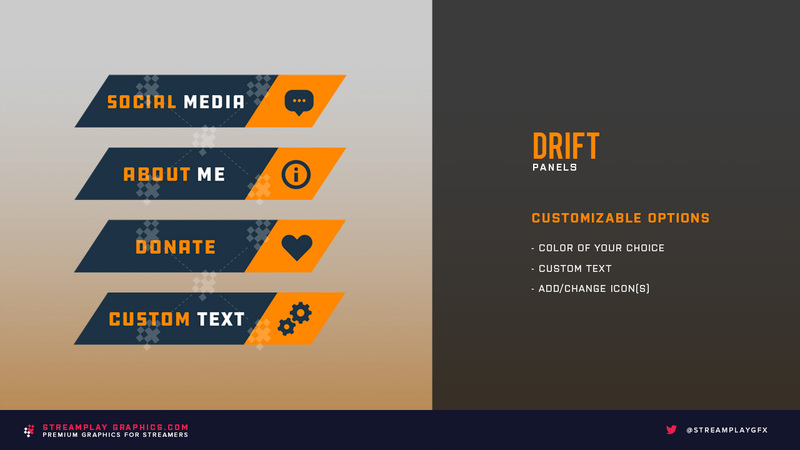 All of our panels for Twitch have the option to download the default versions, as well as the PSD file so you can customize or edit the panel template to match your channels style. 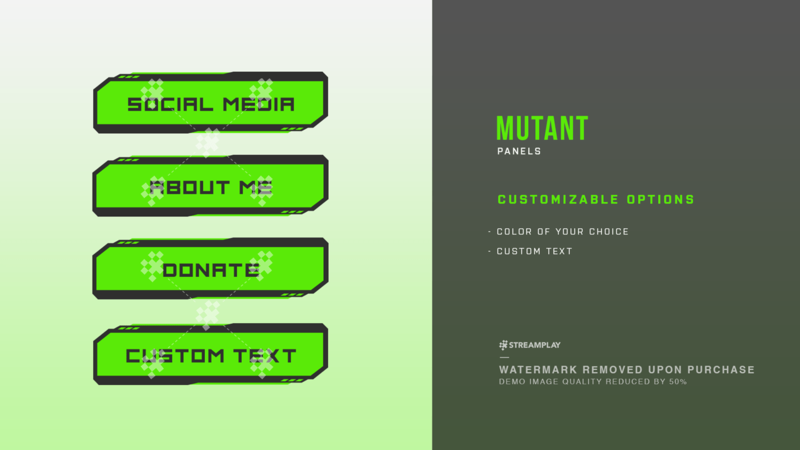 As well as a blank panel for you to add your own custom text. 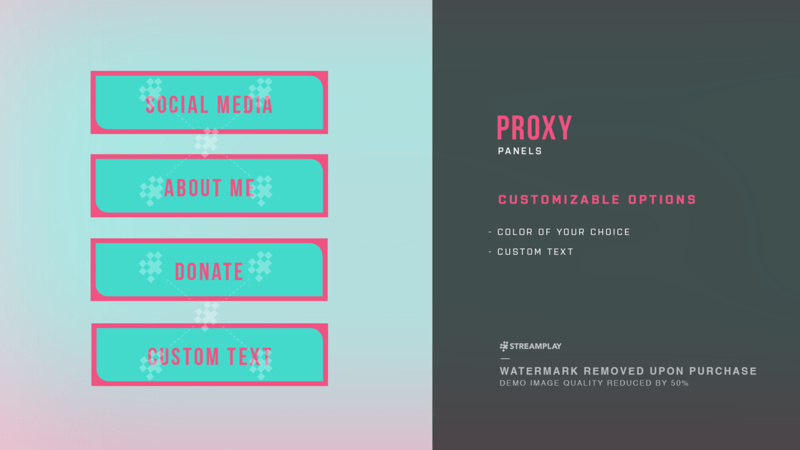 If you need us to add custom text or change the colors for you, then keep reading below for your best option. 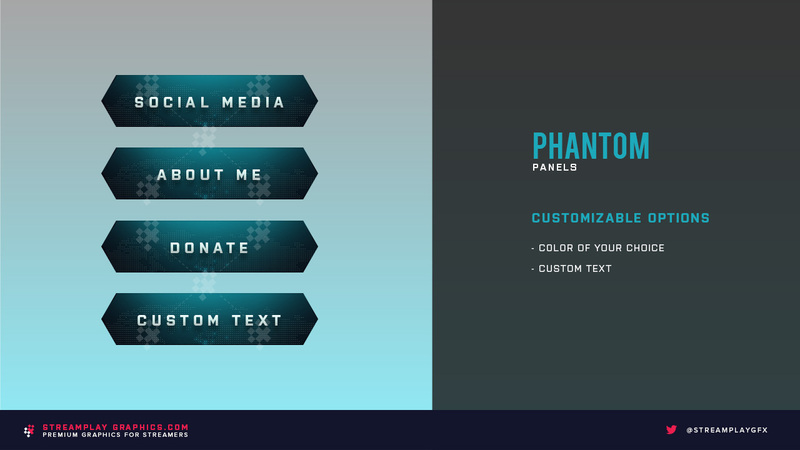 We also give you the option to completely customize our Twitch panels if you buy the “We Edit For You” option. 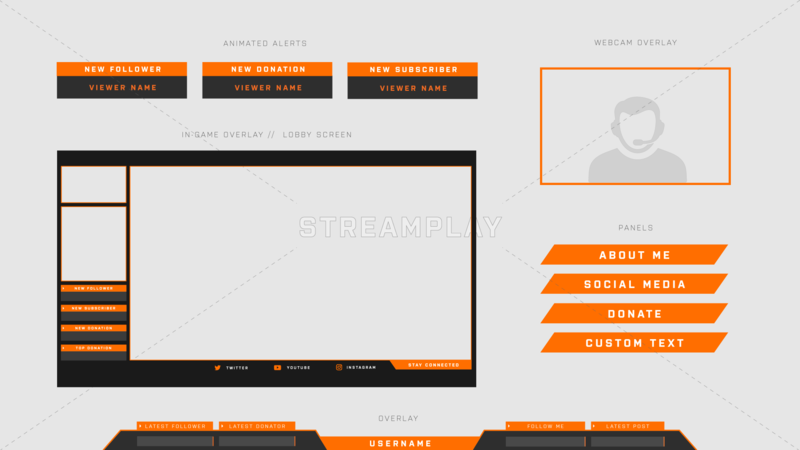 This option is perfect for streamers who don’t have Photoshop or aren’t graphically inclined. 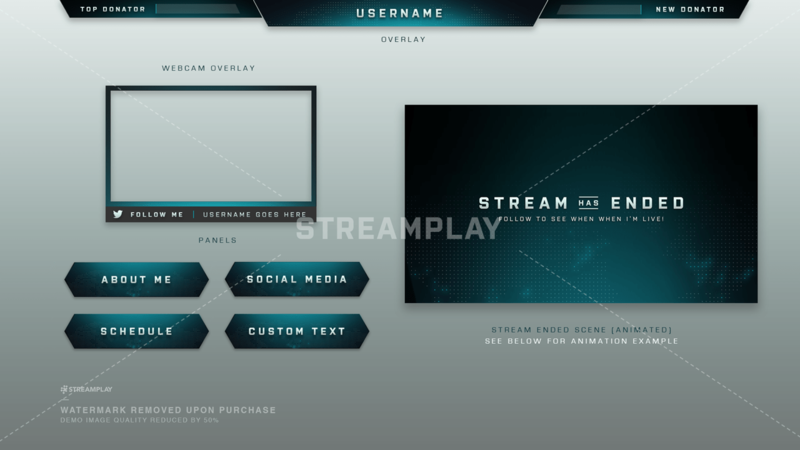 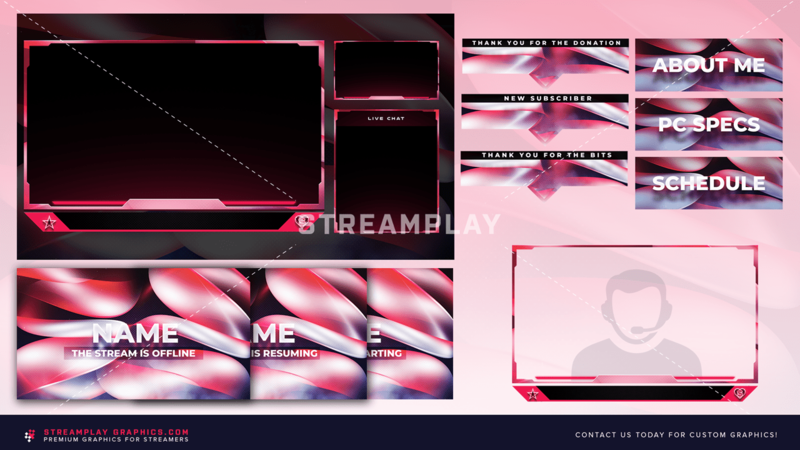 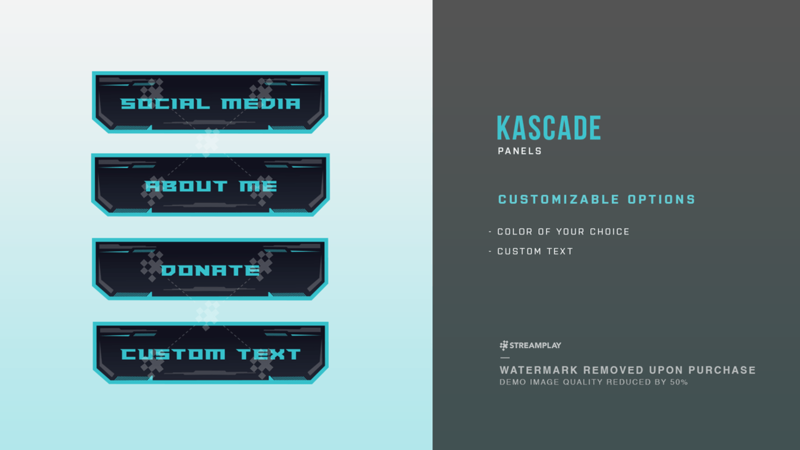 You can customize the colors and/or text for all of our panels so they match your streams branding. 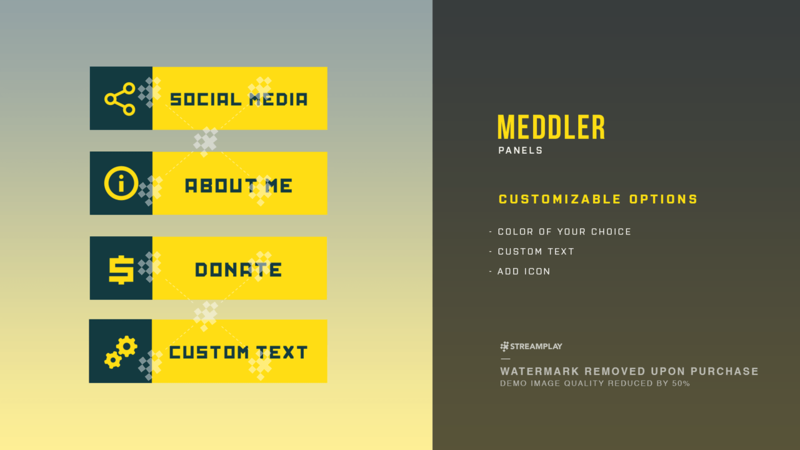 When your viewers scroll down to your streams info panels to learn more about your channel the last thing you want is to have some poorly designed panels. 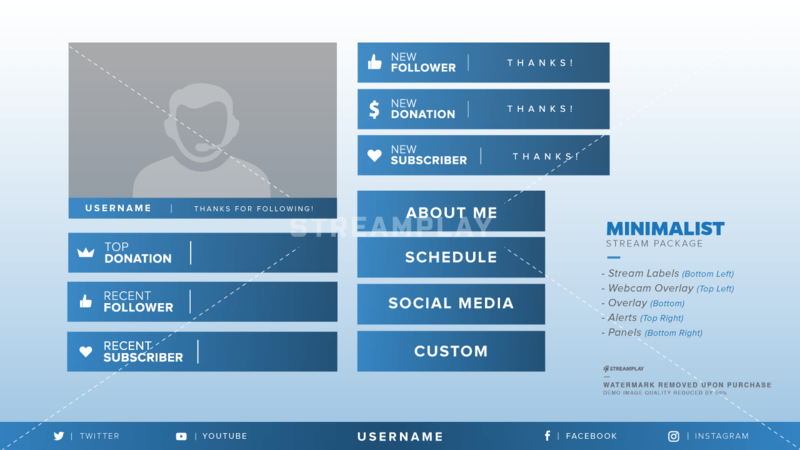 First impressions matter – especially when trying to grow an audience. 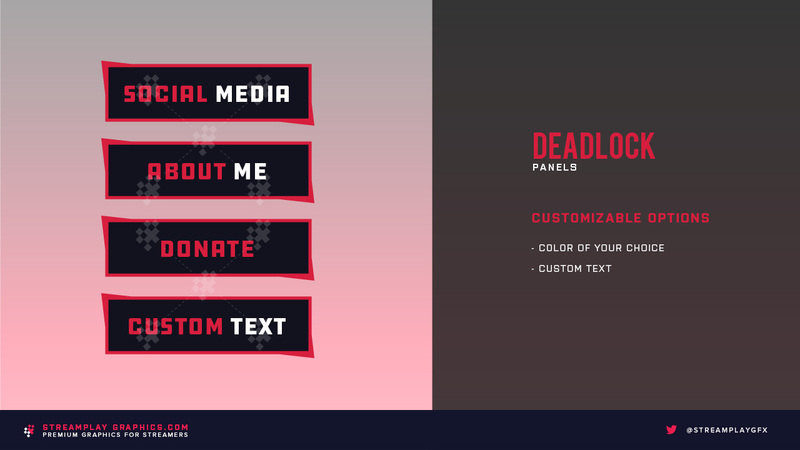 Feel free to check out our selection of premium Twitch panels below. 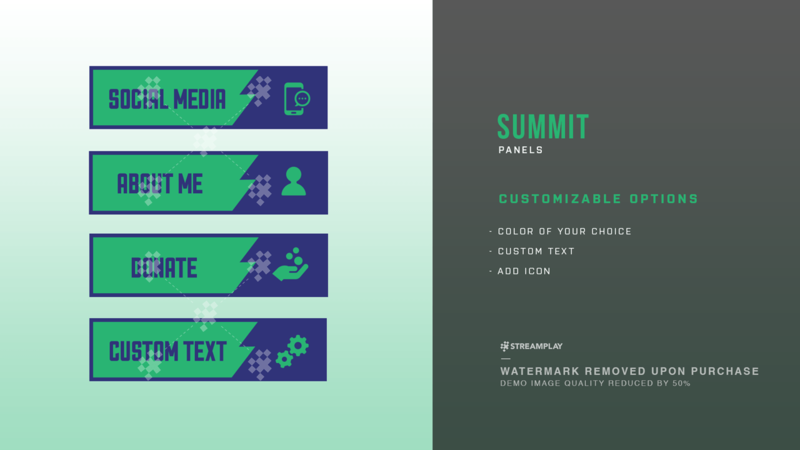 We’re confident you’ll find the right panel buttons for your Twitch channel!